A well thought out landscape or garden design is an integral part of any architectural plan – and with good reason. When it’s done right, you’ll get a great return on investment (ROI) – an investment in a professional landscape design can pay handsome dividends. Professionally designed and executed landscaping will not only add value to your home, it can beautify your outdoor areas, help to screen off traffic or neighbours, add security for your family and pets and create a stunning outdoor entertaining setting to relax in at the end of a busy day. Part of the appeal of a home is the lifestyle it offers – indoors and out. We all want a haven where we can relax, put our feet up, soak up the sun or entertain with friends and family. The right landscape design creates a ‘bigger picture’ that offers – and fulfils – the promise of a fantastic indoor/outdoor lifestyle. 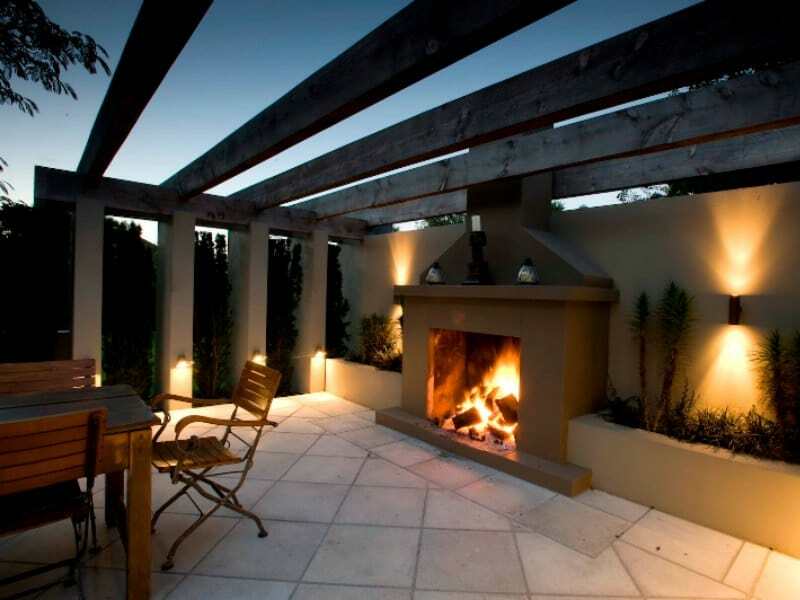 Whether it’s an outdoor fireplace to sit around and chat, a fully customised kitchen or lounge for those evening dinner parties, a stunning patio or deck for sun bathing or a swimming pool for the kids, a trained landscape architect can help you customise your outdoor area for the perfect balance of liveability and practicality. We all love the Kiwi DIY spirit, but tackling an outdoor makeover or renovation project can be a stressful undertaking. 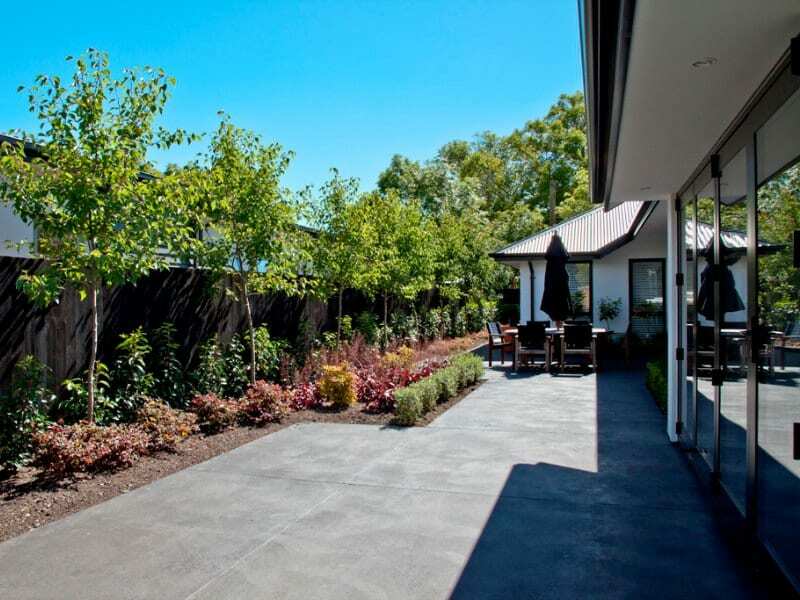 A qualified landscape designer has the expertise to manage all the details and contractors for you, and provide professional advice on selecting the right materials, styles, textures and colours for your project. You can rest assured that any fencing, wiring, lighting and pool areas are fully compliant with local building codes and resource consents. A good design is an investment that you can implement as a single project or you might prefer to implement it in 2 or 3 stages over a period of time. Landscape design is not only about beautifying your outdoor living area and garden, a fully integrated landscape plan should add to the safety and security features of your home. Features such as lighting that will enhance focal features in your garden or illuminate a dark driveway at night, or fencing that will keep the children – and family pets – safe on the property, help add value as well as peace of mind. In an urban environment few of us have the luxury of not being able to see neighbours or street views that can detract from the enjoyment of our outdoor areas. Whether it’s a lattice or well-placed partition screen, a hedge or feature wall, a harmonious landscape design will provide a thoughtful solution to privacy issues so you can truly relax in your outdoor spaces. Good design is a great investment. Our experience of ROI on a landscape design is that your return on $1 invested in a landscape design is as much as $18 on every $1 invested. And if affordability is an issue, talk to us about implementing your design in 2 or 3 stages, it doesn’t have to be all at once. Remember, whether you’re planning a garden as part of a new build or as an outdoor makeover for an existing home, using a qualified landscape designer can pay off in the long run. A landscape architect is trained to create a unified plan that addresses both the big picture and the small details of how your landscape will look. When done properly and professionally, your outdoor areas will not only transform your home and lifestyle, your improvements can hold their value for years to come. 1: Source: Taylor, C. 2003. “Fertile Ground”. Smart Money, March 2003. Planning a new home or outdoor makeover?